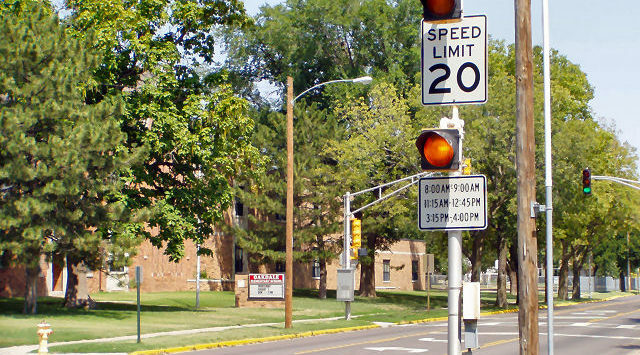 Area schools resume classes in a little over a week, and the enforcement of the reduced speed school zones in Salina will resume on the same date. Drivers are encouraged to be additionally aware of children, school buses, the school zones around schools, and the reduced speed limits. The flashing speed limit sign beacons will be activated on Tuesday, August 7th, one week in advance of the first day of school on Tuesday, August 14th. Motorists are encouraged to practice extra caution when traveling in the reduced-speed school zone sign locations.